Stewarts Solicitors is a Firm with over 110 years of experience. It is a family firm, with its roots in our main office in Newtownards. Over the last 15 years they have expanded to open an office in Ballymena, and then Belfast. They also have a part-time office in Kircubbin. Stewarts Solicitors offer the fullest range of legal services with each Solicitor having a specialism which complements the others. This means that, whatever your legal requirements, we can meet them. If you are starting a new business, buying or selling a property, want to make a Will or have been injured through an accident, Stewarts Solicitors have the expertise you need and a convenient office to meet you in. The Newtownards branch of UPS is located on High Street, in the heart of the town centre and perfectly placed to deal with properties on the Ards Peninsula, Donaghadee, Comber and Ballygowan. The team in Newtownards is headed up by Rachel Smyth who has grown up and lived in Newtownards most of her life and is well known locally. Rachel is supported by a team who have been already trained within the Ulster Property Sales network and have now been moved to their own local area to further enhance the customer service with people serving the local community with their knowledge in a competitive sale and lettings market. 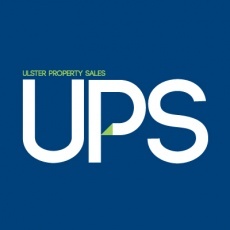 UPS Newtownards are an enthusiastic, driven team whose goal is to build relationships with both vendors and purchasers and to make the house selling and buying process a smooth one. Peter Rogers Estate Agents have set out to simplify the process of moving house by taking the stress and hassle out of your move as much as possible and will monitor and advise you from the beginning to the end of your sale. 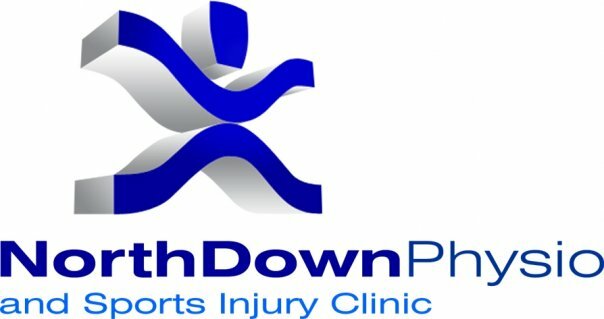 The experienced and motivated team in their Newtownards office have built an excellent reputation in the North Down area and are eager and willing to help all of our new and existing clients at any point during their sale. A friendly, yet professional approach is taken with the business and numerous clients have commented over the years that this has made what can be a stressful time a lot more palatable. 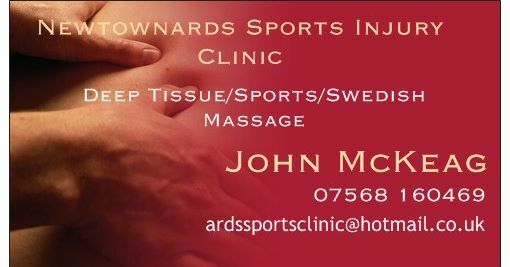 The staff in the office are well known and respected in the area and are keen to help in any way. So please don't hesitate to contact the office for help and advice and of course please call for that free valuation. DPS: The Local Base for Fluid Engineering DPS are Northern Ireland’s premier source for agricultural and industrial water pumps, pumping irrigation and cleansing systems. Our range of products, skills and services includes design, specification, sales, installation after sales and on-site/workshop servicing and maintenance, waste water. With more than 50 years experience of building in excess of 4,000 quality homes across Northern Ireland, the Fraser Houses reputation is built on a solid foundation. Fraser Houses, a grade A1 builder with the National House Building Council (NHBC), each home comes with a 10 year NHBC Buildmark warranty. Fraser Houses latest and most exciting development is RIVENWOOD in Newtownards. Teamwear Ireland specialise in the supply of playing kit & leisurewear to all sports. Through their unique relationships with high quality suppliers & brands, they don’t just offer great value for money, but an unrivalled customer experience and service. Peninsula Print and Design is a leading commercial print company based in Newtownards, County Down. Established in 1986, Peninsula works with a range of clients, including small and medium sized businesses, corporate clients, and the public sector. Peninsula Print and Design has 51 employees, including an in-house design studio, production operatives and a team of warehousing and delivery staff. The company is owned and managed by Gary Withers. Philip Gill & Co, Chartered Accountants & Licensed Insolvency Practitioners specialise in all aspects of insolvency services and business recovery. Northern Car Carriers was established in 2015 by the Frizzell family. The Frizzell name is well known in the Northern Ireland Vehicle Transport Industry as they have over 40 years experience delivering vehicles throughout the UK and Ireland. Luxe Day Spa is an independently run facility at the Blackwood Golf Centre. We offer a wide range of therapies and treatments for men and women, in an unrivalled, peaceful atmosphere. Call in and see for yourself what Luxe Day Spa has to offer. We are so proud of our new facilities, beautiful surroundings and private customer parking. Boasting 4 luxurious treatment suites, relaxation area and Luxe Library, your time with us will be an experience. Chemical Treatment Services Ltd are a Belfast based water treatment company offering competitively priced chemicals and equipment with a prompt and efficient service. 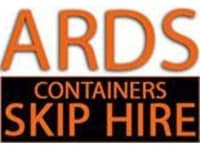 Whatever your needs, Ards Containers has a solution for you. From local skip hire to comprehensive waste recycling, our service extends across a variety of waste management solutions. This ensures our customers are provided with an eco-friendly service that works for them. Whether you’re interested in our skip bins or merely want to make use of our bottle banks, we’re proud to offer responsible, ethical waste management to all our customers in the region. UK Commercial Property Consultancy, Lambert Smith Hampton, acquired BTWShiells Commercial division. BTWShiells was Northern Ireland’s leading firm of commercial property consultants employing 75 staff at its headquarters in Clarence House in central Belfast. BTWShiells’ existing management team retain leadership roles in Lambert Smith Hampton’s operations in Belfast. The deal involves the purchase of BTWShiells’ highly regarded commercial business including its market leading retail and business space agencies, capital markets team together with its core shopping centre management team. The addition of Belfast to Lambert Smith Hampton’s existing network of offices in 26 locations provides the company with an on-the-ground presence in every major region of the UK. The deal reflects the company’s strategic plan of focusing investment on areas of its business where it can add most value for clients. Family owned Bar & Bistro in the heart of Newtownards. Bar Located below the bistro Romas bar is an excellent place to enjoy a pre dinner cocktail. Also an ideal place for birthday parties, Romas can tailor food and entertainment to your requirements. Bistro Steeped in history and recently featured in “the taste of Ulster guide”, Romas offers contemporary décor incorporating a la carte and bistro dishes within an extensive menu drawing on influences of locally caught fish, steak and selecting the best prime local produce. This combination creates a menu offering a range of dining experiences with a twist of Georgian grandeur. 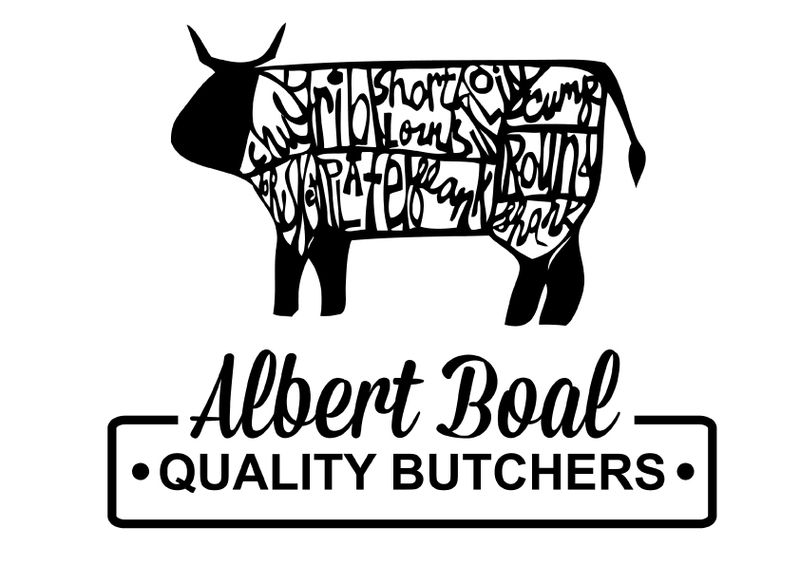 Albert Boal Butchers is a family run butchers with quality local products, family and pensioner parcels available, home made Pies and Lasagne, our homemade Steak rolls are our specialty, friendly service from your local butcher, please call in and see our range. Carryduff Concrete supplies quality, reliable Ready Mixed Concrete to both contractors and the public. The variety of our fleet allows to supply the needs of medium to high volume pours right down to the needs of the private customer requiring smaller amounts. We pride ourselves on being one of the leading producers and packers of quality assured vegetables to the main supermarkets in Northern Ireland. We are the sole local suppliers of carrots, parsnips and brassicas to Sainsbury's NI stores, and we are a main supplier of vegetables to Tesco and Henderson's wholesale. We also supply NI carrots to Marks and Spencer through Avondale Foods. Our vegetables are packed in our purpose built packhouse in our customer's packaging. We have just completed an investment of £1.5 million by constructing a new warehouse facility, with the id of a Processing and Marketing Grant supported by DARD and Invest NI. We provide bouncy castle hire South Belfast, Ballynahinch and North Down! We can also travel to other nearby areas on request. Bags of Bounce offers an amazing range of bouncy castles for hire at great prices. All our products come with shower covers, so you can have a great time come rain or shine! And if there is no electricity supply, we can even offer generators and petrol blowers. When you book with us, you can rest assured you will receive a great standard of service! Although we are a small, family-owned company, we are members of the British Inflatable Hirer's Alliance, and we can even offer a no-fee cancellation policy providing you contact us by 11am on the day of the booking. You can throw an event without any unnecessary stress. Delivery and collection is included in the bouncy castle hire price, and we can even offer uniformed supervision on request. If you book with us, you will be told how to safely use the products in accordance with the best health and safety guidelines. For the Finest produce in Northern Ireland, Come to Corries the name you can trust ! We are a family run farm based in Newtownards, County Down in sunny (and rainy) Northern Ireland. We have been established for over 3 decades producing the best quality meat. We also have three fresh from the farm butcher shops in Newtownards, Ballyhackamore and Gilnahirk in East Belfast where you can pick up a great deal, fresh food and a warm welcome. We farm almost 1000 acres of land that house top quality cattle from our own meticulous breeding programme. Our farm managers, Gareth and Philip have the highest standards not only in the meat we produce but the running of the farm.